The 4 Day Nomads Fraser and Powerplay Combo is a top package, perfect for 18-35's, who enjoy a sense of adventure and meeting people along the way. Powerplay features all of this and more, with exciting snorkelling, amazing meals, heated jacuzzi, stand-up paddleboards, and kayaks! 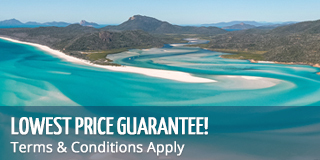 Visit the beautiful Whitsunday Islands and world-renowned Whitehaven Beach! Nomads Fraser Island Tag Along Tour is an authentic Aussie 4WD adventure, staying 1 night at the amazing Eurong Resort during the night. This 2 day trip includes a drive around 75 Mile Beach, bush-walking and refreshing swims at Eli Creek, Lake McKenzie, Lake Wabby and much more! Powerplay is the 2 day, 2 night adventure of a lifetime! Soak up the sun or take a walk along the sand at Whitehaven Beach, learn about the local wildlife on an exciting bush walk through the National Park, and get up close and personal with the Great Barrier Reef Marine Park and its marine life. On this 2 night tour, your crew will take you to several different snorkel destinations, each offering unique and spectacular underwater scenery. Taking out a total of 18 passengers, the vessel offers a great social environment with the space to seek full relaxation. Powerplay is strictly 18-35s. 18 guests for a fun-filled, sociable trip! 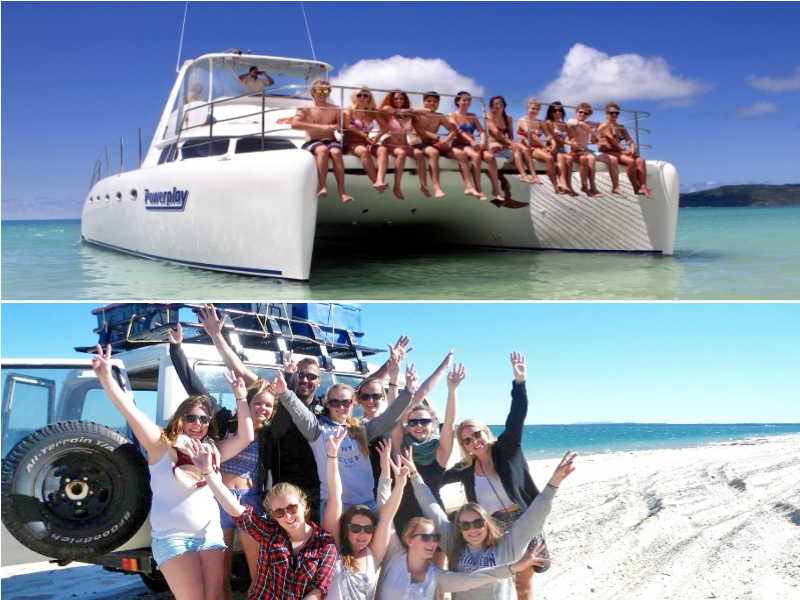 During your time with Powerplay, you can look forward to full-time entertainment with your fun crew as well as a stop to Whitehaven Beach and Hill Inlet Lookout - one of Australia's most Instagrammable locations! Your 2 day tour will also allow for several snorkelling opportunities where you will be able to immerse yourself in the warm blue waters to be greeted by the unique marine life that awaits below! This unforgettable tour is suitable for 18-35-year-olds, has both private and shared accommodation and is sure to give any of its guests memories to last a lifetime! The Fraser Island portion of this combo departs from and returns to beautiful Noosa Heads and includes 1 night at Eurong Resort, situated a stone's throw from the Pacific Ocean on Fraser Island. Driving around the World Heritage-listed island in a 4WD is sure to get your tyres spinning! When you are not revving it up, slow down and admire the beauty around you. This 2 day trip includes a drive around 75 Mile Beach, bushwalking and refreshing swims at Eli Creek, Lake McKenzie, Lake Wabby and much more! All of your meals while you're on the island are included and there are no local fees waiting for you. On top of that, an exclusive post-tour party will be waiting for your group upon return to Noosa at the famous KB's Bar! Plenty of sightseeing and activities! For 2 amazing days, you will get to explore some of the best parts of Fraser Island. Everything is included in your tour where everything will be taken care of for you! If you're short on time, or if you just wish to spend 1 night on the island, this package is the one for you. We have designed these packages so they are suitable for those wanting to fly, train or bus it and also for those with own cars or campervans. How and when you make your way between the Airlie Beach and Noosa is up to you and at your own cost. It is about 960kms or a 12 hours drive between the two locations, so you need to allow a good day for travel. This trip is strictly 18-30s. As Powerplay is very water-orientated, you MUST be able to swim to board the boat, and for safety reasons, you must also be able to speak English. Nomads 2 day tour only available between from December to April, Ask us to upgrade and include Nomads 3 Day 2 Night Adventure.